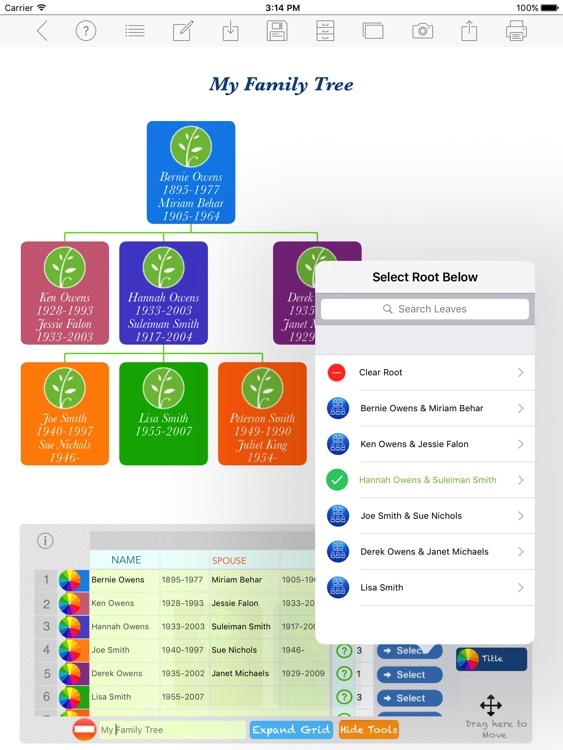 Family Tree Builder® is a powerful tool that let's you organize your family tree research and discoveries within the shortest time possible. The Ability to render fullscreen charts allows you to turn your iPad into a powerful visualization tool. 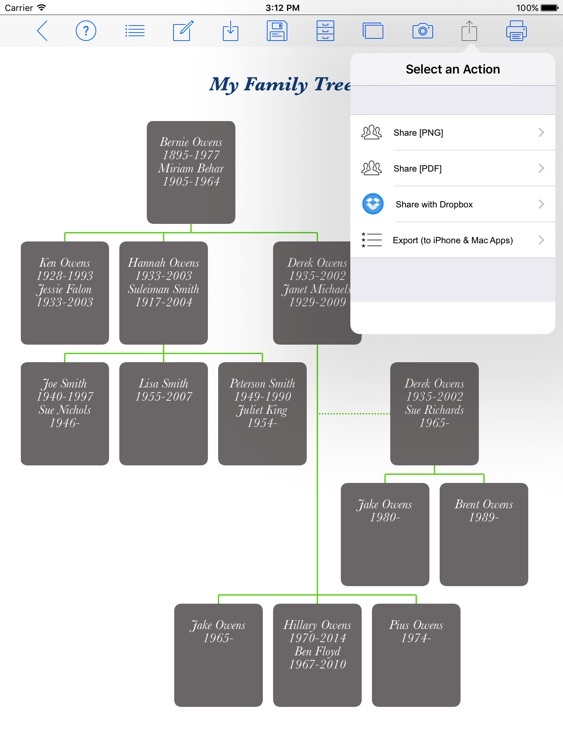 You can create a family tree and copy or share it instantly by email giving you the flexibility to move it from your iPad to your Mac, PC or to other iPad Apps including Pages, Numbers & Keynote. 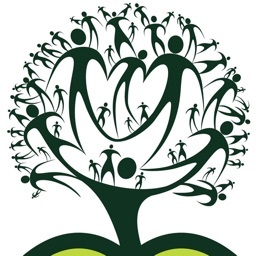 Family Tree Builder® is very easy to use, it utilizes the Parent->Child relationships to construct a Family tree within the shortest time possible(No Drawing Hassles, Family Tree Builder® Automatically draws it for you). Simply enter an item and select the Parent and Family Tree Builder® will Complete the Join. 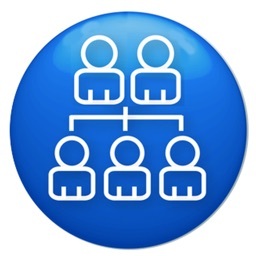 - Easily share your Family Tree with family and friends via email in PDF or PNG formats. 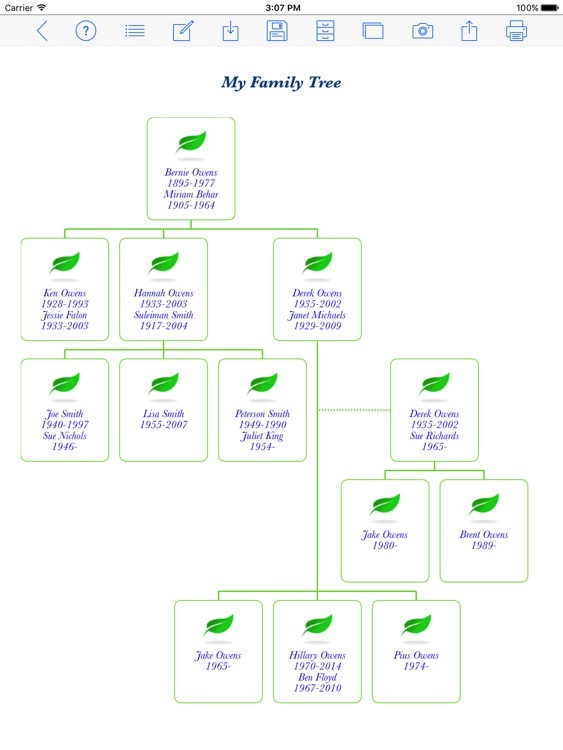 - Save your Family Tree for future use or edits. - Supports use of Dotted Lines. 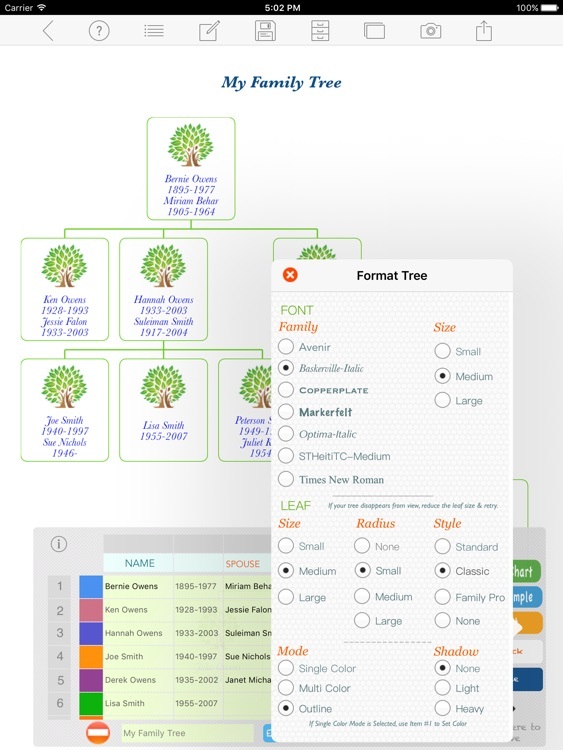 - Easily print your Family Tree. 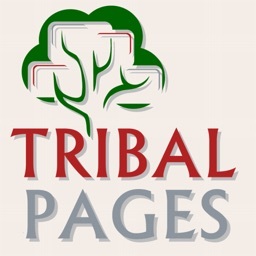 - Copy your Family Tree and paste in other iPad applications including Pages, Keynote & Numbers. 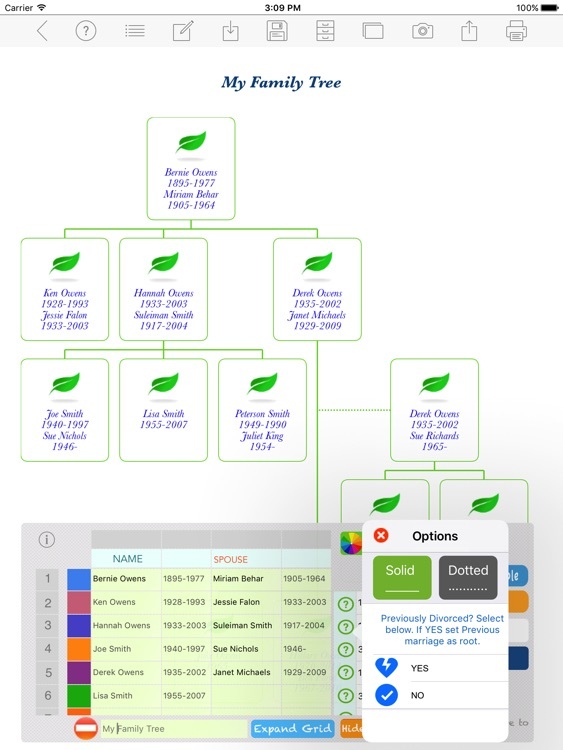 - Define the look and feel of your Family Tree by easily customizing the colors for each item in the Family Tree with the inbuilt color picker. 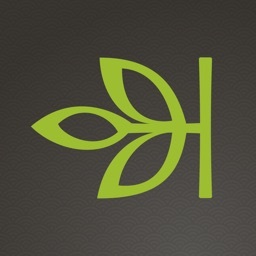 - Automatically expands canvas to fit long & wide trees. 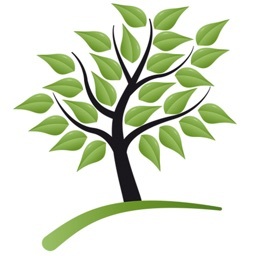 Family Tree Builder® ist eine leistungsstarke App, die Sie organisieren können Ihre Familie Baum Forschung und Entdeckungen innerhalb der kürzesten Zeit möglich. Diese App unterstützt den Deutschland Character Set. شجرة العائلة باني هو التطبيق قوية التي تتيح لك تنظيم البحوث شجرة العائلة والاكتشافات في أقصر وقت ممكن. هذا التطبيق يدعم مجموعة الأحرف العربية.